Obituary for Betty (Carpenter) Setters Tincher | Herald & Stewart Home-Funerals, Inc.
Betty Carpenter Setters Tincher, widow of Jimmy Tincher, of Mt. Sterling, passed away Thursday, August 2, 2018. 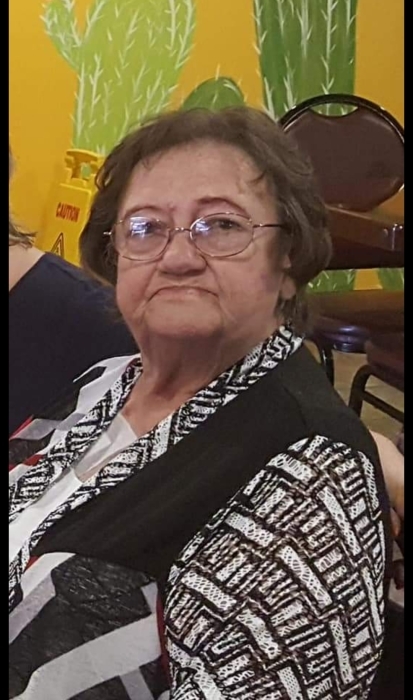 She was a 76 year old native of Bath County, daughter of the late Elbert Woodford Carpenter and Clara Sears Gilvin, a factory worker and member of Antioch Christian Church. She is survived by 5 sons, Russ (Cindy) Setters of Mt. Sterling, David (Margie) Setters of Winchester, Jeff (Tina) Setters of Owingsville, Tony Tincher of Texas, and John Tincher of Indiana, 2 daughters, Angie (Don) Williams of Winchester and Heather (Rich) Hart of Cape Corpal, Florida, 1 brother, Elbert Lee Carpenter, 1 sister, Thelma (Wendall) Frazier, 16 grandchildren, 20 great-grandchildren, and 7 great-great-grandchildren. Her funeral will be 11:00 Monday at Herald & Stewart Home for Funerals with burial in Machpelah Cemetery. Visitation is 5-8 Sunday.